Just a Fellow Mystic, working towards Cosmic Harmonization and Adepthood. The social network was created so we can all grow and learn together, where we can feel comfortable, gather and share ideas, and increase in numbers. I try to stay on as equal grounds and keep the community as free from moderation as possible. Like Pharaoh did as written in the Temples, in having taken the first step forward with the community - as do I, working towards it entering it's perfect state through resonance with the Cosmic and in manifestation. So if there is anything I can do to help you here, please drop me a comment or message. The Community needs your help! The Rosicrucian Mystery School is a section of the Online School focusing on the teachings and mysteries of the Rose Cross. Curriculum is based on the system established by AMORC. Thanks again for all the opportunity to learn and share thoughts. hope fan or rejuvenation help feed your fire and cool your brow. Hey son was just taking a break and didn't know if u guys still had anything going on. I tried several times to say hello to everyone there and it wouldn't allow my post to show up where u were. I am banned or blocked or something? 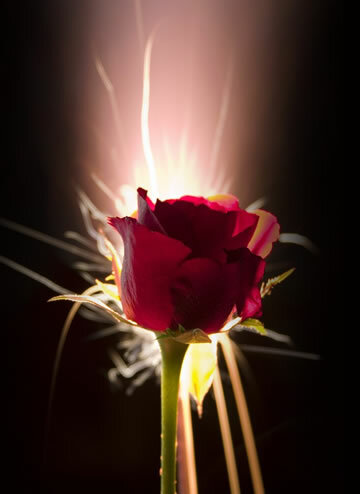 Just like this rose shines, so does your soul. Marry Christmas :). May light find you always dear friend. Much love to u.